Fox News commentator Geraldo Rivera insisted that President Donald Trump should be more “compassionate” in his approach to immigration reform. He argued that the Immigration and Customs Enforcement agency must be “reformulated” and shouldn’t target unauthorised immigrants who don’t have criminal records. But Rivera said he has “no problem” with a border wall, despite his belief that Americans’ support for a wall is motivated by a xenophobic fear of demographic change. 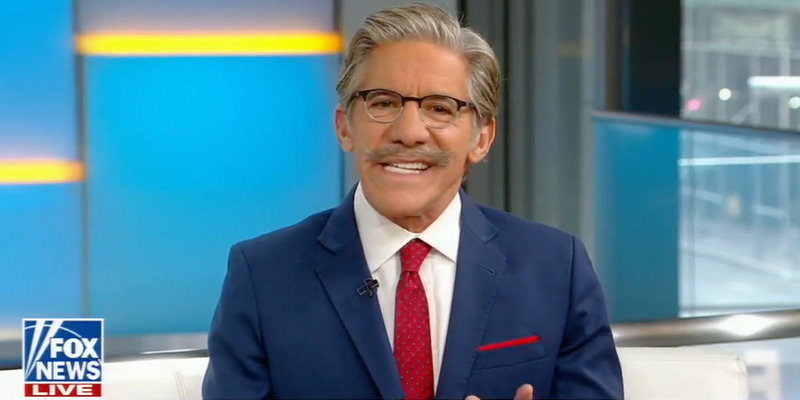 Longtime Fox News commentator Geraldo Rivera walked a tight rope Friday morning on “Fox and Friends” – appearing to support President Donald Trump’s border wall despite Rivera’s belief that the right’s approach to immigration lacks “humanity” and is motivated by xenophobia. The conversation on Trump’s favourite morning show turned slightly contentious when Rivera argued that the Immigration and Customs Enforcement agency, or ICE – tasked with interior enforcement of US immigration laws – is an “honorable, honored law enforcement agency” with a “very difficult job.” But he said that it should be “reformulated” to avoid the mass deportation of unauthorised immigrants without criminal records. “I think what has to happen is an absolute separation of the two functions,” Rivera said. Rivera said that a US-Mexico border wall would stem the flow of immigrants who come to the US for jobs and a better life, often from poverty-ridden, war-torn countries, but that it wouldn’t solve the problem of drug and human trafficking. “If you want the wall, the wall I think will cut down on the Juan and Maria, the fruit picker, the babysitter, the lawn mower, the dishwasher,” Rivera said. He added that he has “no problem” with a border wall – and that Americans actually need a physical barrier to assuage their concerns about the country changing demographically. “I think though that the United States needs, psychically, we need – psychologically we need the wall on the southern border, because we’re scared that the demographic makeup of the country is changing, there’s so many people coming,” he said. But, he added, “transnational dopers” won’t be stopped by a border wall. Rivera said his “problem” with Trump and the GOP’s approach to immigration is their lack of “humanity,” “compassion,” and the “tone” used by the right. Rivera responded that the calls to eliminate or reform ICE is a direct result of Trump’s controversial “zero-tolerance” immigration policy, which involved the separation of migrant children from their parents at the border – a policy that Rivera said lost the president his “moral high ground” on the issue. Rivera claimed that Trump “knows how” to enforce immigration policy with “compassion” and should put the onus on Democrats to come to a compromise in order to appear more reasonable.